The notion of getting your first pet is a life changing experience bit often what actually takes place when your pet comes home is far from the fairy tale dream. Many first-time pet owners take for granted or had never put thought to that they may be allergic to pets or suffer from pet allergies. After days of continuous sneezing, wheezing and itching will one cone to terms that there may be an issue at hand and although we may be angry is not Fido and Fluffy fault and if you are one of the lucky ones who aren’t allergic, airborne pet odors can still be quite irritating. 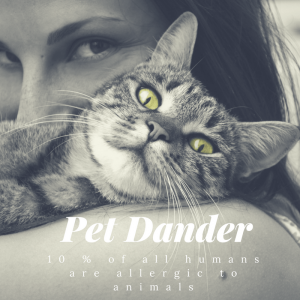 If you suffer from pet allergies you are not alone and a recent research conducted by the American College of Allergy, Asthma & Immunology, stated that ~10 % of all humans are allergic to animals and between 20-30% percent of all asthma sufferers experiencing allergies caused by pets. Without sounding to bias the statistics state that twice as many people have symptoms from cats compared to dogs. More people are allergic to cats than they are to dogs. This may be due to the severity of the allergen Fe D1, or because dogs are generally bathed regularly, whereas cats are not. Between 6 and 10 million Americans are allergic to cats, and approximately one-third of them have cats in their homes. Animal dander, hair, and other organic debris in homes can also result in a significant increase in the level of dust mites, mite feces, and other allergenic insect parts. Allergens may be found months or years after a pet has been removed from a house. Pet-borne allergens commonly infiltrate places where pets have never been present, such as schools, workplaces, and other public spaces. Since dander allergens are sticky, they can be transported to these places on the clothing of pet owners. There are no “non-allergenic” breeds of dogs or cats. Some breeds of both species, however, are believed to be hypoallergenic; anecdotal reports claim that the Siberian, rex, and sphynx cat breeds are less likely to provoke an allergic attack than most other cats. Similarly, dog breeds, such as poodles and schnauzers, have been reported to be less allergenic. None of these claims has been validated scientifically. This problem can be a cause of concern; if your child is allergic to animal hair, you need to find a solution. Actually, your little one doesn’t have an allergic reaction to the hair itself, but to a protein that is present in the animal’s saliva, urine, stool, or in dandruff in animal hair. In case of cats the protein FEL D1, while in dogs the proteins called CAN F1 and CAN F2 are the cause of the trouble. The symptoms may include nasal congestion, runny nose and eyes, shortness of breath, coughing, wheezing and skin rashes. Unfortunately, these allergy-causing animal proteins may stay in the environment for months in the dust settled in the apartment on the furniture, walls and clothing. This kind of allergic reaction may be inherited, so if a parent is allergic to animals, children may be too. Along with having a good air purifier or filtration system in place routine cleaning will also reduce pet dander and pet odors in your home as well. Something as minutes weekly vacuuming of your homes carpeting, furniture, and draperies can make a huge difference in the air quality in your home as well as reduce the allergens which trigger your allergies. 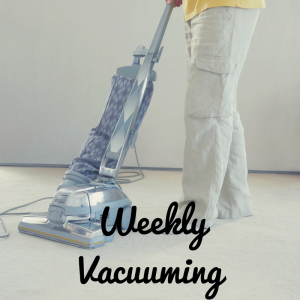 Along with a daily to weekly vacuuming fo your carpeting, you should also be deep cleaning your carpets every 3-4 months. Carpets are known for harboring pet dander and a good steam cleaning or carpet cleaning can help minimize the dander and pet hair that can stir up your allergies. The OdorKlenz Source treatment for carpets and upholstery can be used with a hot water extractor to remove and neutralize pet and urine. The good news for allergy sufferers is that pet hair and pet dander can be managed and contained in your home.Pet allergens are lightweight and airborne and a HEPA filter will be the best tool and solution for the job. HEPA filters are considered a mechanical system that captures and traps pet hair into a filter by utilizing multiple sieves which can also trap small allergens and bacteria as well. Traditional HEPA filters can trap 99.9% of the airborne particulates but do very little to address the odors associated with the dander and pet hair. Carbon activated filters are highly porous in nature but have a limitation in removing odors and has also been known to leak or off gas the odors when full back into the environment. The OdorKlenz mobile air system provides pet owners with a two-stage filtration process which address the particulate removal of pet dander through a medical grade HEPA filter along with odor neutralization with a specialty cartridge. For more information on choosing the best pet air purifier for your home click here. Keep a good and sound cleaning routine and regimen is crucial for controlling your allergies around your pet. 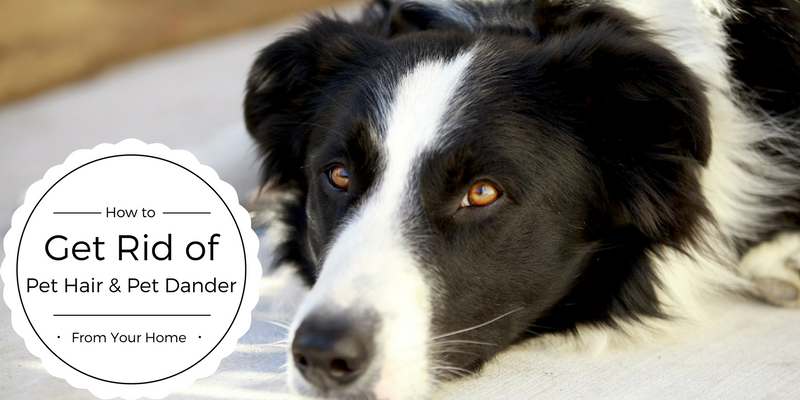 Add to your monthly chore list cleaning your pet’s bedding to help minimize pet odor and dander buildup. We recommend washing your pets blankets and bedding covers in hot water and using OdorKlenz laundry additive to safely and effectively remove the odors from your clothes, bedding, and linens. The OdorKlenz laundry additive can be used along with your normal detergent to remove stubborn pet and urine odors from your pet bedding and washable belongings. The additive is non-toxic, fragrance-free, HE friendly and works to remove the odors without the use of masking agents. As mentioned earlier in the post, the accumulation of pet dander can also result in off-gassing of odors in your homes carpeting and indoor air. Vacuuming twice a week can help control and mitigate the pet dander but incorporating a bi-monthly carpet cleaning will not only reduce the pet odors in your home but also increase the longevity of the carpeting as well. For more information on the OdorKlenz Laundry additive click the learn more button below. The OdorKlenz source treatment can be used to remove pet and urine odors from your carpeting without the use of toxic chemicals or masking agents. 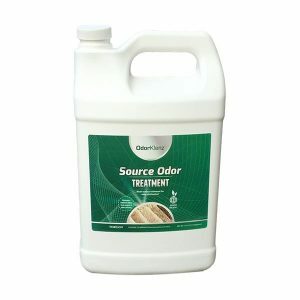 The OdorKlenz source odor treatment is a versatile product that can be applied directly onto the carpeting or flooring or used in conjunction with a carpet clean or hot water extractor. Safe to use around your pets and family and works on contact to neutralize the odors and restore your home’s indoor air quality. 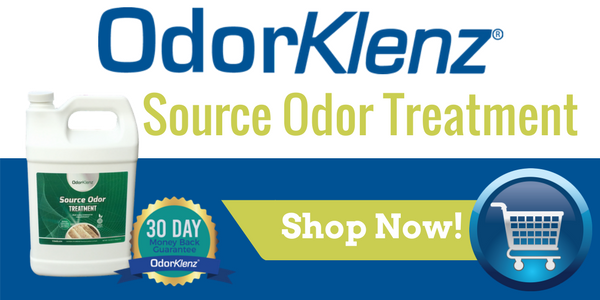 For more information on the OdorKlenz Source Odor Treatment click the learn more button below. The OdorKlenz Source Treatment can be used on a water safe surfaces, from carpets, fabrics, upholstery, wood, tile, and other water-extractable surfaces. It eliminates stubborn odors deep down, destroying tough odors caused by pets, children, spills, or other household odors in your home. Safe to use on any water-safe surface including wood flooring, tile, laminate, carpet, upholstery, and walls. Click below to buy it NOW!